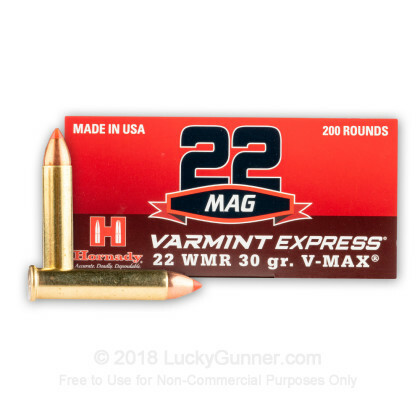 This 22 WMR cartridge from Hornady’s Varmint Express line of ammunition sports a 30 grain V-MAX projectile. That bullet features a polymer tip, which streamlines its shape for flatter trajectories and greater accuracy, even at long distances. The tip also serves to facilitate fragmentation by driving deep down into the bullet’s core upon impact, even at lower velocities. 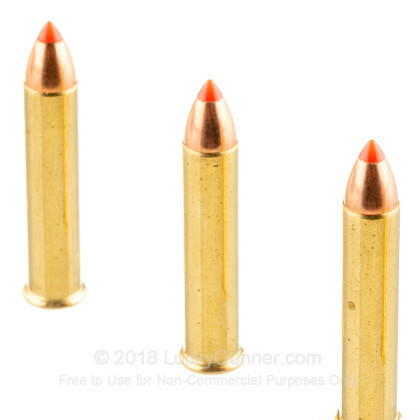 The bullet’s swaged lead core is precisely formed right up to its tip, which even further ensures the kind of violent fragmentation needed to knock down coyote, fox, and bobcat fast. 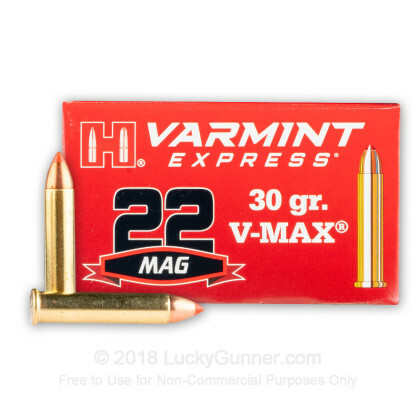 The Varmint Express brand’s optimization for taking down smaller critters isn’t limited just to its quality projectile. This round also offers a select brass casing that provides reliable feeding and ejection, as well as resistance to corrosion. Its clean burning propellant is perfectly matched to its caliber to ensure optimal pressure, velocity, and accuracy, too. 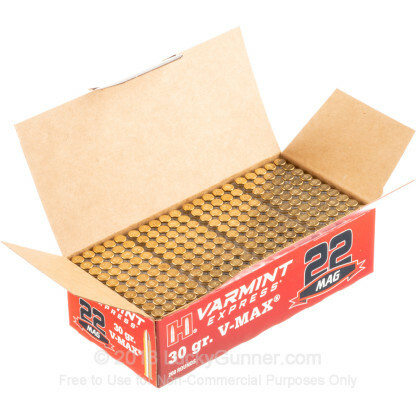 With 2,000 of these cartridge to work with, you’ll be perfectly supplied for a whole season of varmint hunting. I run this in my Kel-Tec PMR-30, and Rough Rider Heritage. Just ran through 500 rounds without any issues. 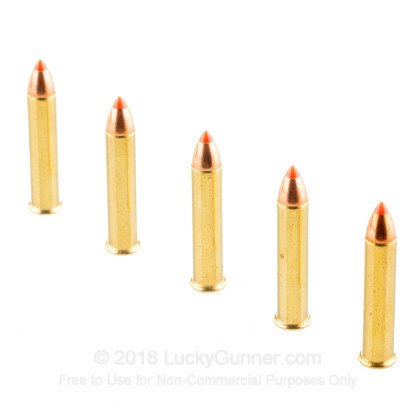 Great ammo for target shooting and small game, highly recommend. 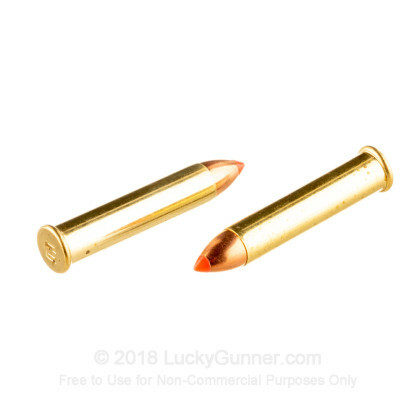 THEY ARE FAST, ACCURATE,FEED PERFECTLY IN A PMR-30 AND THE FIRE BALL WILL HAVE YOUR FRIENDS IN AWE.GOOD FOR HUNTING SMALL GAME OR TARGET SHOOTING. Q: Something tells me this ammo is not meant for my normal, Ruger 10/22. Right?? We also have this 22 WMR - 30 Grain V-MAX - Hornady - 200 Rounds ammo in stock in a smaller quantity.